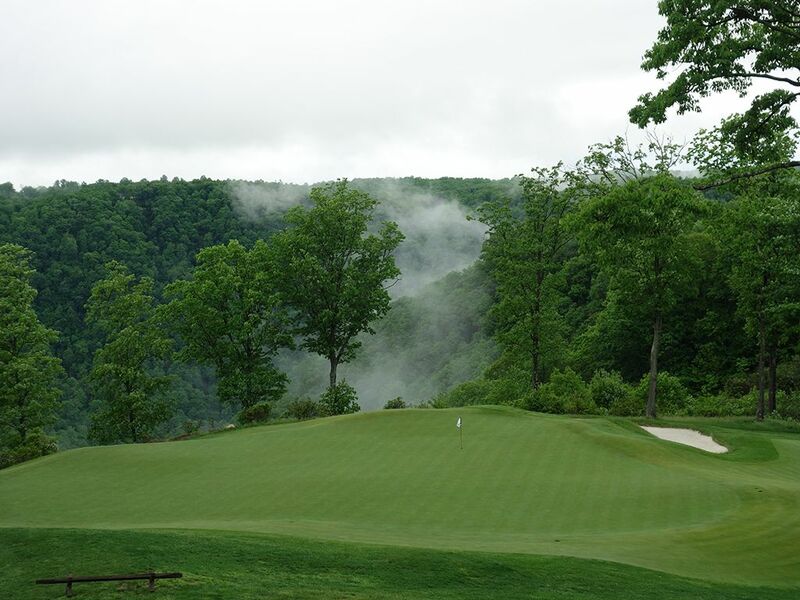 Course Website: Official Website - Visit The Highland Course at Primland Resort's official website by clicking on the link provided. 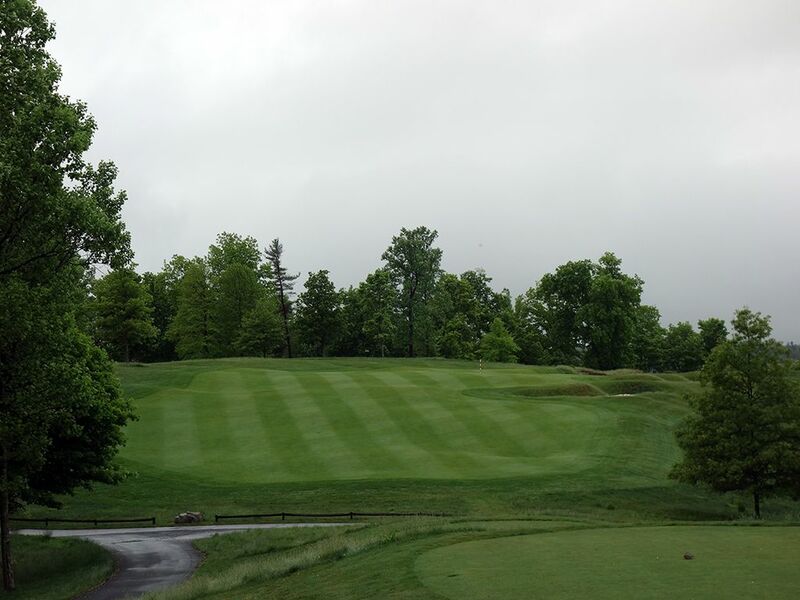 Accolades: Ranked 4th in Virginia on Golf Course Gurus' Best in State list. 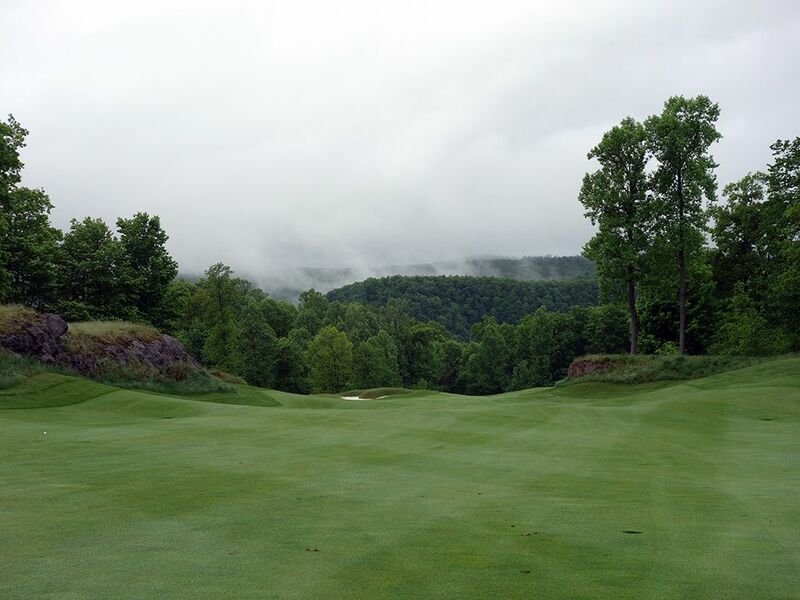 What to Expect: The Highland course at Primland is a mountain course you'd expect to see out west rather than in the eastern portion of the U.S., but there are plenty of surprises you'll discover at Primland. The course sits nearly 3,000 elevation and you can feel it on the drive up as you climb higher and higher into the mountains before the course and resort unveils itself. With 12,000 acres to work with, Donald Steel and lead design association Martin Ebert, had a massive canvas to work with. And while there were discussion of putting the course lower on the mountain, just enough useable ground was available at the top to accommodate the 18 hole routing. The extreme terrain offers stunning views and an intriguing routing that begins with pars 5-3-5-3-4-5 to the course which is the only time I've played course where I didn't see a par four until the 5th hole. 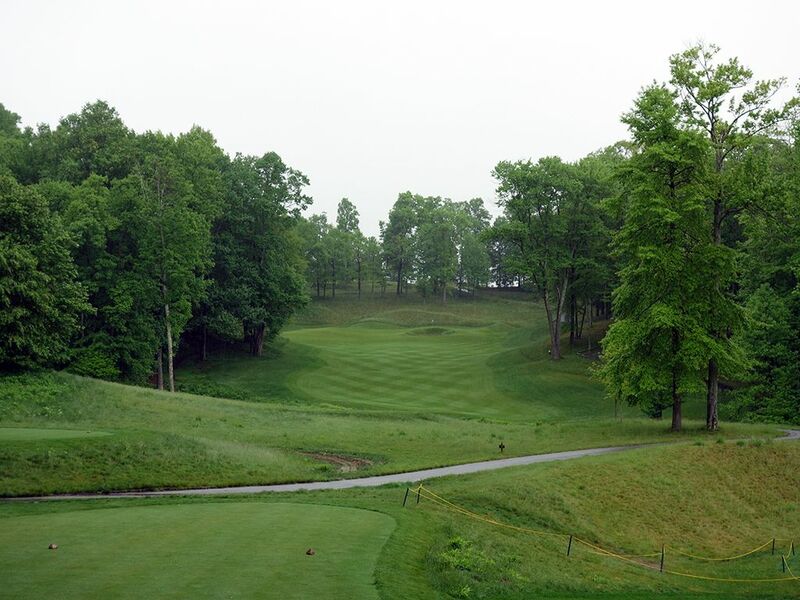 The track is characterized with some of the largest greens you'll ever encounter, large elevation changes, and wide fairways that help with the playability of the course since leaving the fairway can often result in a lost ball down the steep hillsides. The drainage on the course is excellent and helps the course maintain its famous pristine stature it has developed a well earned reputation of. The course reminded me of a milder version of Wolf Creek in Mesquite, NV due to the extreme terrain and fun afforded at the facility but will have a broader appeal than its desert counterpart. 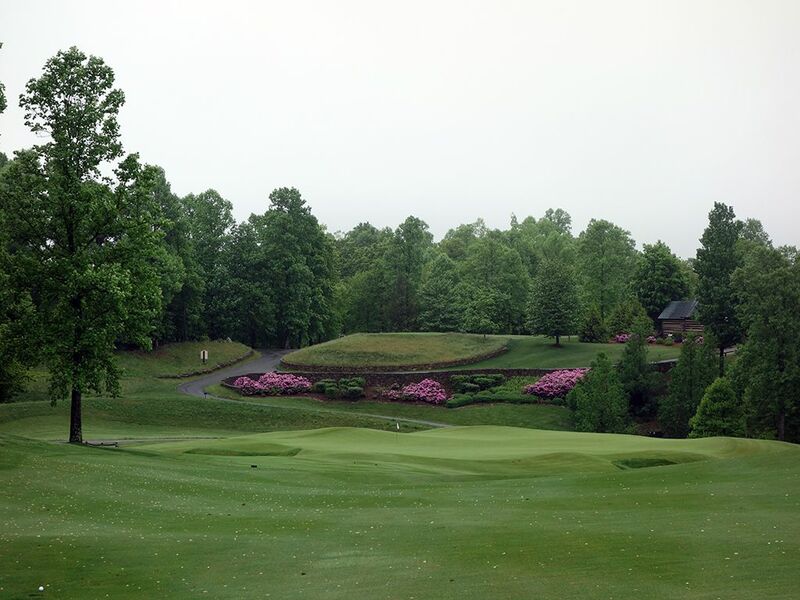 The resort, facilities, food, and every experience at Primland is top notch and adds to the visit and certainly begs you to come back for more. Ultimately, Primland is a unique course with incredible views that is a better resort offering than it is an "everyday" course. 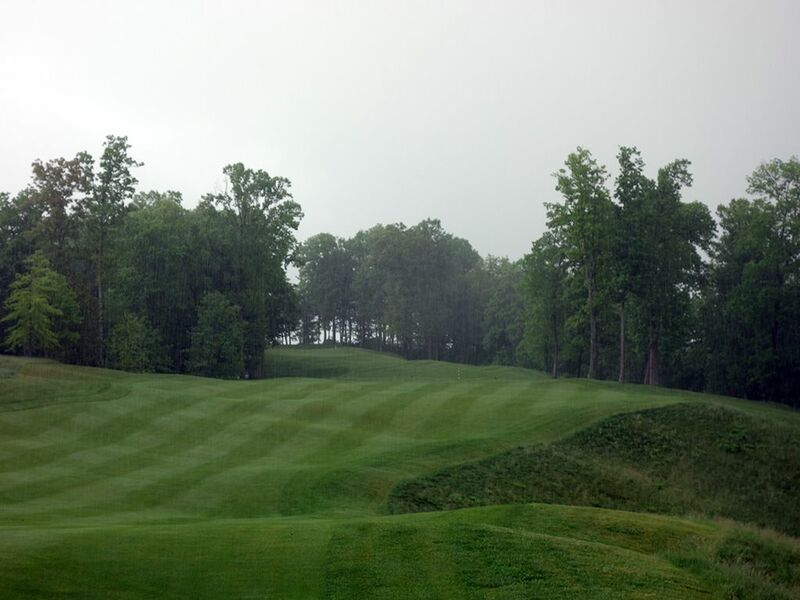 Signature Hole: 1st Hole – 536 Yard Par 5 – The first hole at Primland is perhaps the best opener in the state. The tee shot is relatively unassuming until you climb the rise in the fairway and make the turn right where the fairway then flows downhill between natural rock formations down to a lumpy infinity edge green with stunning views across the ravine and to the tree covered mountain across the way. 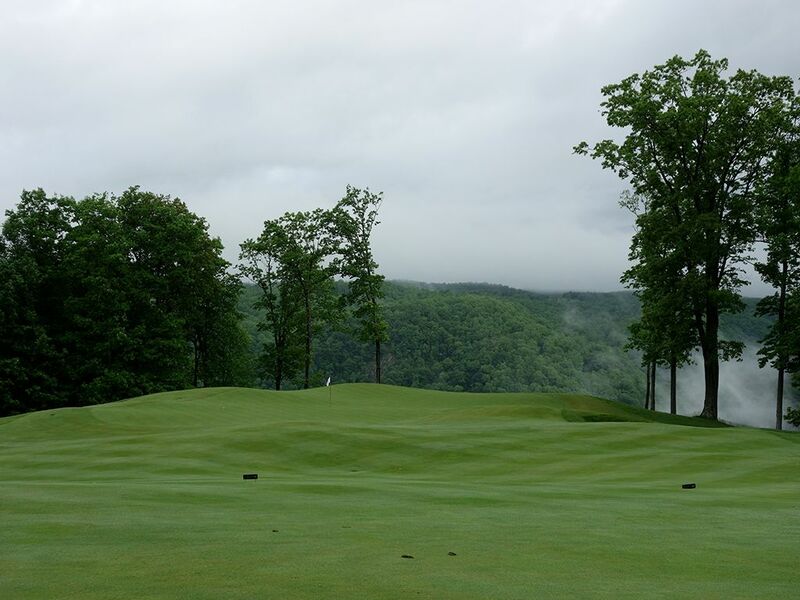 The dramatic nature of the opening hole is a perfect introduction to the fun and wild ride that you and your ball is about to go on at Primland. The hole is certainly reachable in two, although leaving the fairway can quickly result in a lost ball, so go ahead and kick your round off the right way with a birdie. Best Par 3: 2nd Hole – 195 Yards – Primland doesn't let up after its excellent opening hole and offers players this dramatic one-shotter. 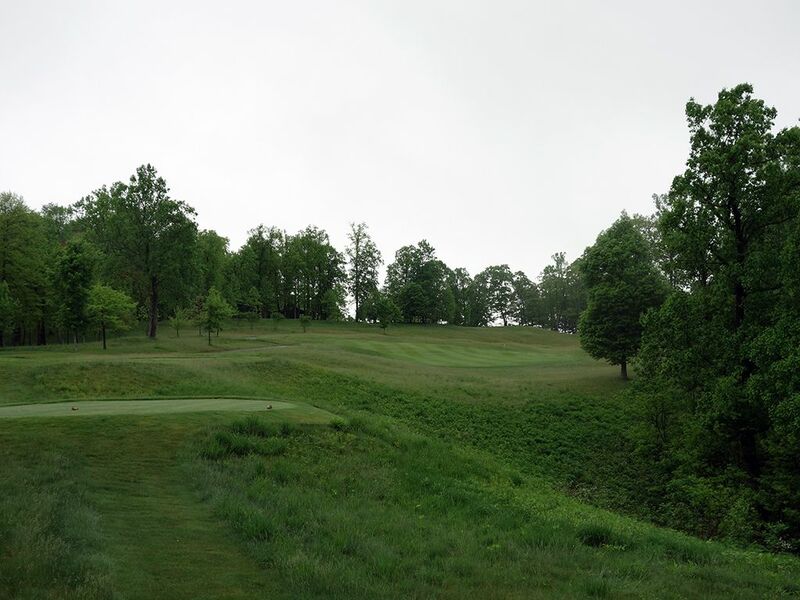 The tee shot plays over a ravine to a green perched on the hillside where balls that cut too far right will tumble down and likely be lost forever. A bunker short and right of the green is actually a saving grace as playing from the sand beats a lost ball any day. The wise play is to favor the left side of the green where pulling your shot a bit can still result in the ball carouming off the hill and onto the putting surface. This is a just a fun hole is an exciting environment. 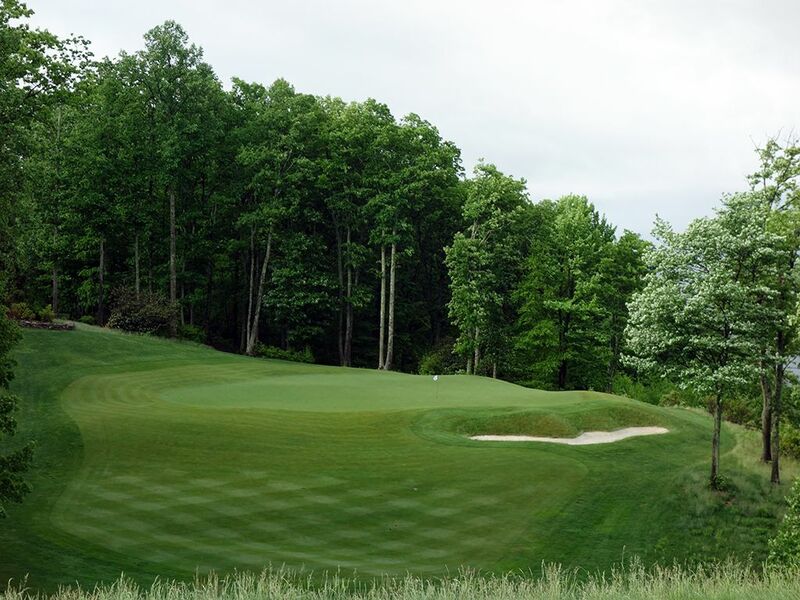 Best Par 4: 18th Hole – 484 Yards – The closing hole at Primland is an excellent test to close the round out with. The tee shot plays uphill to a fairway that then doglegs right and out of view, but only the longest of hitters could land it where they wouldn't be able to see it land. The approach shot plays downhill to a highly undulated green where being in the correct portion of the putting surface will be a big factor in your success to navigate a two putt or less. The par 3s and 5s really steal the show at Primland, the this is a quality two-shotter to finish on. 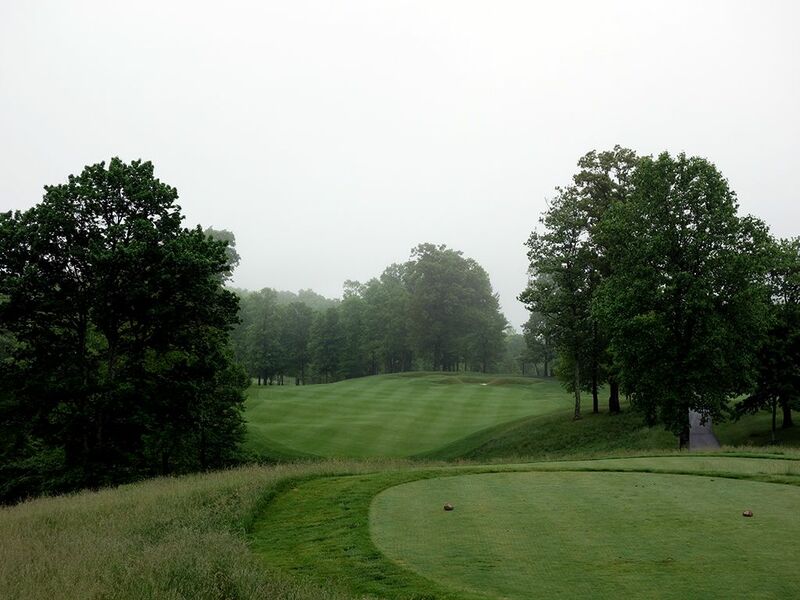 Best Par 5: 13th Hole – 612 Yards – The longest hole at Primland comes out to play on the 13th and it is a stern test. 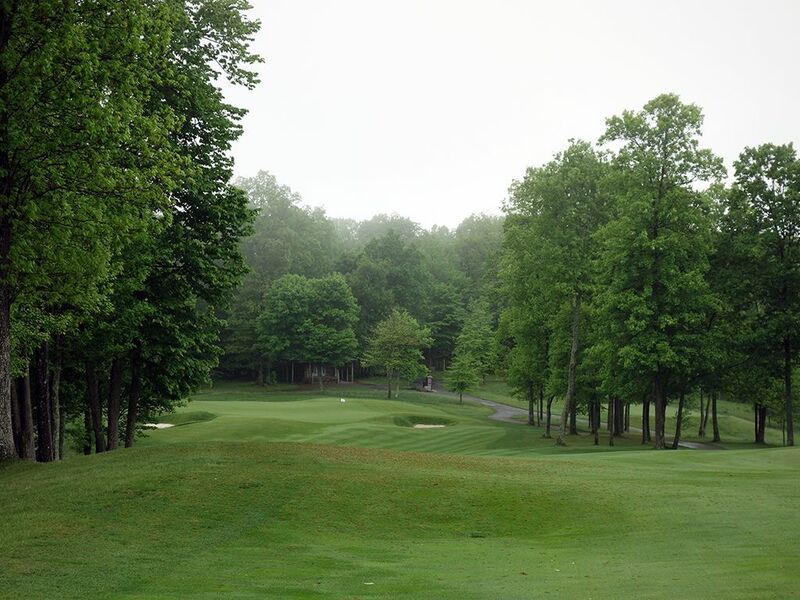 A 260 yard drive will get you out to the corner of the dogleg before the fairway bends right and climbs the hillside. The rolling fairway provides few flat lies and leaving the short grass is a quick way to lose a ball and incur a penalty stroke, so be wise in how you approach this green. The fairway straightens out before bending slightly left as it ascends to a greensite surrounded by trees. The hole is bunkerless from tee to flag but you aren't getting home in two so rely on your go-to clubs when plotting your path up with larger than life par five. Birdie Time: 9th Hole – 342 Yard Par 4 – The front nine closes out with the shortest par four on the course and a chance to take a stroke back that you may have coughed up on one of the two difficult proceeding holes. The tee shot plays downhill before the fairway ascends back up to the green that is about the same elevation as the tee. A single bunker fronts the green and should cause little concern when going flag hunting. The putting surface sits in a little bowl and helps work balls back towards the hole and set up a great look at birdie. 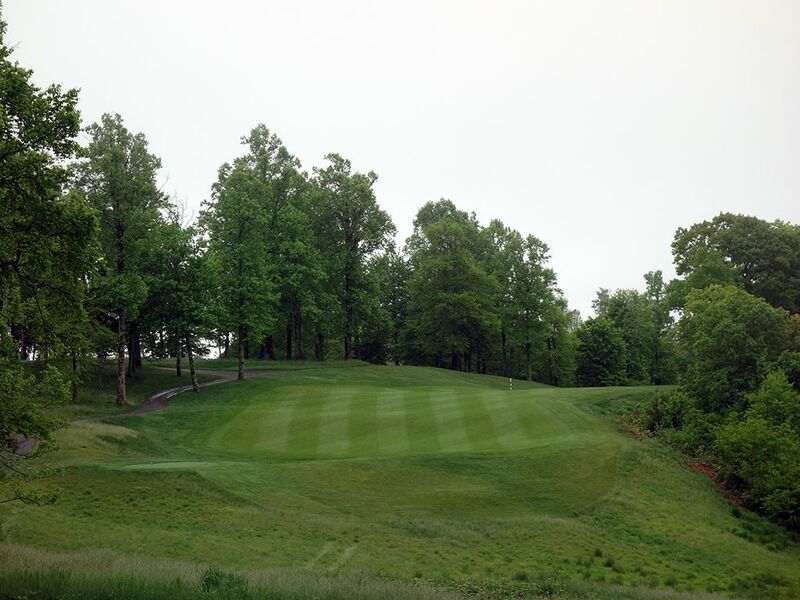 There are plenty of tough holes at Primland but this shouldn't be one of them so take advantage. Bogey Beware: 7th Hole – 494 Yard Par 4 – After starting the course with pars 5-3-5-3-4-5, it looked liked yet another par five was waiting for us at the 7th hole but it was this brutal two-shotter. Just six yards short of 500, this lengthy par four features a pair of bunkers on the right side of the fairway while a forest of trees protect the gentle bend on the left side. As such, a tee shot that stays just inside the left edge of the bunkers on the right is the ideal line and sets up a good look at the green below. The downhill nature of the approach shot takes a club less to reach the green with but with most players staring at 200+ yards to get home, hitting this putting surface in regulation is still a stout feat. Navigating around the two small, but deep, bunkers at the front corners of the green is critical to your success as well. If the routing didn't have three par fives in the first six holes, I'm convinced this hole would have been lengthened slightly to make it a reachable three-shotter.